As Peter celebrates his 10th anniversary at the 9 News desk, we go back to where it all began and bring you the story that’s never been told. It was 2008, Channel 9 had been calling me on-and-off for 6 months trying to get me to come across from Seven to run their news and current affairs promo team. I had no idea why they were being so persistent but I later found out they wanted the guy who was making the Seven News promos. Nine had a plan to rebuild their 6pm news offering, which was languishing in the ratings after decades of dominance, and I was one piece in the jigsaw. “Jess, I’ve got something big to tell you later”. I was intrigued. Why would Jessica Rowe know I was going to NINE? I presumed Peter must have known but couldn’t work out why he would have been told at this stage as he was working on 60 Minutes and this really had nothing to do with him. I didn’t give it too much thought at the time, but it did sit in the back of my mind. When I first arrived at NINE on 1 December 2008 change was in the air. David Gyngell made it known he wanted NINE NEWS to reclaim its position as Number 1. John Westacott was Head of News & Current Affairs, but it was already obvious he would soon be replaced by Mark Calvert who had been working on the TODAY show. It wasn’t long before I sensed something big was about to happen and the fact Jessica Rowe was in the know about my move led me to believe Peter Overton would soon be taking over Sydney’s 6pm news. I theorised it would be happening in January as Mark Ferguson was due to go on holidays. He stared at me, giving nothing away. “If you are going to make that change,” I continued “which I think is the right move by the way, then we should have a full promo launch for him. You might be thinking of a soft launch to bed him in and then make the announcement, but if you’re going to do this then you need to get behind him 100 per cent and make it an announcement you’re proud of”. “Well, you’d better go and make a promo. Don’t tell anyone what you’re doing, I’ll pay whatever you need”. Then began one of the most covert operations ever seen in Channel 9 history. How was I going to make a big launch promo without anybody finding out? Gynge didn’t even want me to tell my boss, but I explained to him there was no way I could get the resources without his support, so he relented. My next course of action was to call Peter Overton to explain my plan (a plan I was still making up on the run). We have often joked in the following years how he was sitting on the couch when my call came through. He tells me that is the moment he knew it was actually going to happen. No more talk, no more promises, he was actually going to get his chance to be the main anchor of the coveted 6pm news. That was the moment it became real for him. From there I had to plan a major promo launch without word leaking out - not even publicity knew. I eventually settled on shooting some interviews with Overton and piecing a promo together from his answers, interspersed with vision of him reporting from all over the world. Peter and I became close work colleagues during my time at NINE. We shot at the Park Hyatt in Sydney. The room we booked is usually used by International stars and costs $10,000 a night. We did a deal which gave us the room for 2 nights for $10k. This would allow us to bump equipment in and out without having to worry about check-in and check-out times. Coincidently, the day we were shooting the promo, Peter and his wife Jessica were staying in the same hotel celebrating their wedding anniversary! Our room for the shoot was amazing. It had a butlers pantry, a grand piano and a table for 20. But the key to this space was the view of Sydney. We could shoot a promo without anyone knowing what we were doing. The crew involved in the promo shoot had to sign confidentiality agreements, that’s how paranoid we were of word getting out. With the promo shot, I only had a few days to edit it. Mark Ferguson would be told on Friday night about the change after his final bulletin before heading on holidays. I advocated that he should be told before the bulletin so that he could do a proper goodbye, but that was not to be. On Friday night Feguson was called to John Westacott’s office and told the news. He demanded to speak to David Gyngell about the situation. Gynge reaffirmed the network’s position that Ferguson would be reading weekend news upon his return. While this was going on upstairs, I was downstairs in a dark room cutting the promo that would launch the following day. I went up and had a chat with Westie afterwards for a debrief on what had happened. Over a drink he recalled how unpleasant the experience was. Westie is a straight shooter who says it like it is. He knows the business well and if there’s bad news will tell you face-to-face. At this stage only a handful of people knew what was about to happen. It was one of the rare times a major announcement didn’t leak. Gyngell was determined that everyone (including those who worked at Nine News) would find out when the promo launched. On Saturday a graphics operator was brought in to add effects to the promo and design an end tag featuring Overton. The promo was to be played in the 6pm News that night in the first commercial break. I was beginning to worry we wouldn’t make it. People from on-air Presentation where looking at a gap in the schedule, but I kept telling them the promo wouldn’t be available until 6pm. They were concerned but their boss told them to accept it as he knew Gyngell was overseeing whatever we had planned. Meanwhile we were refining the promo and graphics. Then, at approx 6.15 we launched the promo showcasing Overton in various hotspots from around the world during his time on 60 Minutes. As I was still at work I decided to watch the studio feed to see if anyone reacted to the promo. Wendy Kingston was reading the news that night and because she couldn’t hear the promo, she assumed it was a promo for 60 Minutes. Not the most auspicious start! The promo did have an affect though, phones and e-mails went into overdrive as people realised NINE had just made a significant change to its news service. Peter Overton not enough to save Channel 9, says Tracey Spicer. IS replacing Mark Ferguson with Peter Overton at the Nine news desk in Sydney simply shuffling deck chairs on the Titanic? There was still a long road ahead but I still believe to this day it was important to draw a line in the sand and promote Overton as the main reader. Some at NINE believed he should have settled into the role over Ferguson’s holidays before any announcement was made, but in my opinion that would simply have been delaying the inevitable. Peter Overton was the guy and now David Gyngell was about to move all the pieces of the puzzle into place, but not before a major news event unfolded. The chance to showcase Overton’s live reporting skills came during the devastating Black Saturday fires in Victoria. Mark Ferguson was back from holidays and due to read his first bulletin but I suggested to Westie that Overton should be sent down to cover the fires. Westie agreed it would be the smartest move but couldn’t do it as it was an awkward situation with Ferguson having to throw to Overton. Instead, the Sydney newsroom used the first segment from Melbourne’s coverage of the fires. Overton would have to wait until Monday. Mark Ferguson was then assigned a new role reading news on the ill-fated “THISafternoon”. While the show didn’t even last 3 weeks on air, Feguson’s role was even shorter. After the first week, he announced he would be leaving Nine at the end of his contract that year to take up a role at Seven. He was was removed from the show but the network decided to make him read the replacement Afternoon news program instead of letting him go on ‘gardening leave’. It makes sense that while he was still negotiating with Seven he couldn’t refuse to do any assigned jobs, including reading news on a new show, but it was obviously awkward when he announced it just one week in. TV is a funny game sometimes. Soon after, Mark Calvert was promoted to Head of News & Current Affairs. Mark had been an advisor on the TODAY show and had shown he was a creative thinker. Darren Wick had been the Executive Producer of A Current Affair and he was promoted to Sydney News Director. Change was happening all around, even the building was being renovated. In fact Peter and I would have heart-to-hearts in the corridors with wires hanging around us. We’d talk about the bad headlines and how things were going. I would tell him about any bright spots in the ratings and how I believed we would get there. It was a time when we were all fighting hard and that brought us all together. Calvert and Wick were making significant changes to the 6pm bulletin. The graphics were smartened up and a new set was ordered. Content wise, stories were slicker and shorter. More live crosses to reporters were added to give a sense of urgency and the bulletin started firing. Not everyone in the newsroom was happy though. Reporters, some who are still there today, were leaking any negative story to the press. It was a time of redundancies and change and every little thing was getting out. I found it really interesting that when we eventually started winning the leaks did stop, but some would write off all the hard work as part of a cycle. We were number one then seven were number one and now it’s come back to us. That sort of antiquated thinking is what had held Nine back during the bad years. Being number one isn’t a right, you have to fight for it and there were plenty of people at Nine willing to fight despite the nay-sayers. I hadn’t been in the role for long before Seven, my former employer, sent a legal letter warning me not to use any concepts I had devised during my time there as they owned the copyright. Their ‘concern’ was the style of promos I was making were similar to the ones I made at Seven. David Gyngell laughed out loud when he read the letter telling me I really must be making them nervous. It wasn’t long before my promos would take a dramatic turn though and shock not only Seven, but people at Nine. Every night at 6pm we would all gather in the newsroom and watch the end result of the days work. The newsroom had two big screens, one playing Nine News and another playing Seven News. This allowed us to watch our own broadcast but keep an eye on the competition. I started noticing a pattern where stories broken by Nine would appear on Seven News a few days later. As they were so far in front they had no shame about delivering stories a few days old. I guess they assumed their viewers hadn’t seen them. That’s when I had the idea for the “See it First” campaign. It was audacious, but I decided to cut a promo using footage from Nine and Seven showing how Nine would break stories FIRST and Seven would follow them days later. The first promo I cut had a voice over saying “First on Nine News…” and then show Peter Overton reading an exclusive story about electricity. The voice over continued saying “two days later on Seven” and then showed Ian Ross and Chris Bath reading the same story. It was my belief that you couldn’t just make a claim, you had to prove it to the audience - but not everyone at NINE agreed. When word got out about what I was doing people were yelling at me to stop - literally yelling at me. I was told I would have to clear the promo with CEO David Gyngell. After cutting it, I was really happy with it as I believed this was the strongest possible message NINE could put out there — and it was true! Right before my scheduled meeting with Gyngell that night, my boss came up to me and pleaded with me not to show Gyngell the promo. I was confused as he had actually organised the meeting! In hindsight I guess he could see it would appeal to Gyngell but my boss did not think the network should go down this path. “No, but we’re going to be f***ing proud of Nine”. I walked into his office where Michael Healey the programming boss and John Westacott were waiting. I put the DVD in and played the promo. At the end there was silence. Michael Healey was the first to jump in. “Are you going to use Seven’s actual logo?” He asked. In the version I had showed them, I had used a generic 7 in the Arial font. “I think you should use their logo” he replied. There was consensus in the room, the SEE IT FIRST ON NINE campaign would officially launch using footage from Seven News to illustrate our point of difference. When the promo launched it got people talking and viewers started switching back to Nine. It was slow growth to be sure, but there was growth. With Darren Wick and Mark Calvert now running the newsroom, the team found their confidence again. Structural changes to the team were being made behind the scenes as well as a new set and revised format. This was significant change and it was working. In my day-to-day role, Wick and I focused on topical promos. Wick had a background as Executive Producer of TODAY and A Current Affair and he understands the importance of topical promos. With his team, Wick would ensure they had a great story to promote every single day and we would work on the promos to go along with it. At first we would get a nightly win here and there before crashing again. Then we would win enough nights to claim a weekly win before diving again. Changing viewing habits is a difficult thing, but we were starting to do that. When viewers did watch Nine News they were seeing a quality product with a quality newsreader. Overton had absolutely been the right choice to lead Nine’s bulletin. In my opinion he is still the best newsreader in this country, delivering every bulletin with confidence and ease. He can also ad-lib when things go wrong and make viewers feel comfortable. The team behind the scenes kept pumping away. Journalists were pushed to uncover exclusives, producers worked hard to make sure we aired stories first. Accuracy was vital, but so was the race to be on air first with a story and the vision. A major turning point came in 2011 when Sydney student Madeleine Pulver was held hostage by a masked intruder. Pulver had a collar bomb put around her neck, which ultimately turned out to be fake but the young lady did not know that at the time. All day Nine News worked overtime covering the story as it was developing live throughout the day. My team were updating promos and driving audiences to the 6pm bulletin. The hard work paid off and it was the first time we had beaten Seven on a major story. Until this point, Nine News had been steadily climbing with wins here and there but every time there was a big story, viewers would switch back to Seven News. But not this time. This was the first major event where Nine News beat Seven. It was also the year Nine News claimed the #1 spot for the year. 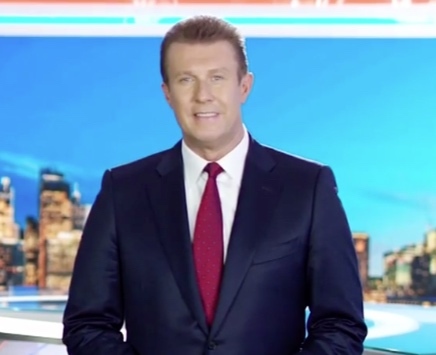 When Mark Calvert moved on, Darren Wick ascended to the role of Head of News and Simon Hobbs took over as Sydney News Director while Peter Overton continues to be the face of Nine News to this day. In 2019 that same team is still in place and Nine News is still number 1 after 8 years at the top. It was a tough climb but that team were dedicated to being the best and trying new things. Peter Overton and Darren Wick (with special mention of David Gyngell, Mark Calvert and Simon Hobbs) deserve every success and I congratulate them on an amazing 10 years.